On 11 and 12 April 2019, SCoA attended the third meeting of the Council on the Economic Participation for Refugees and the launch of Seven Steps to SUCCESS – a report on supporting refugee entrepreneurship published by the Centre for Policy Development and the Open Political Economy Network. 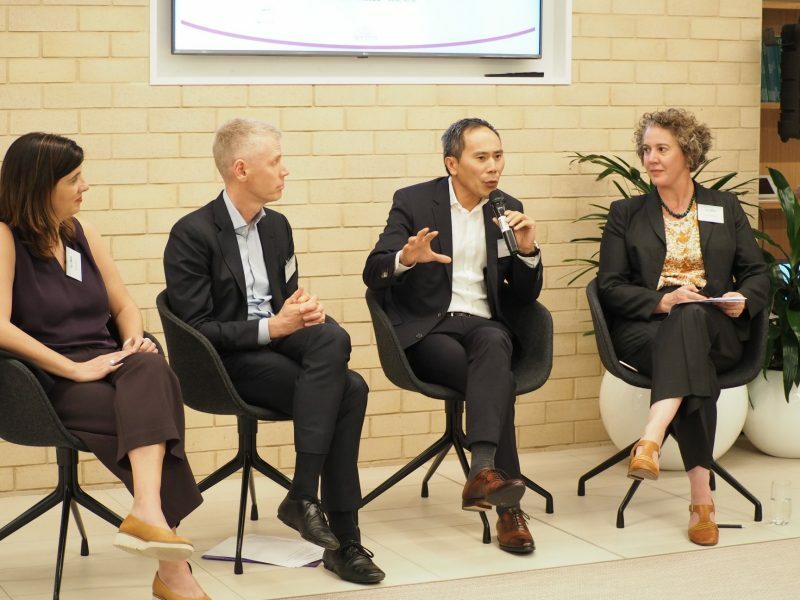 An excellent panel, joined by Sonja Hood, Philippe Legrain and Huy Truong, discussed the findings of the new report ‘Seven Steps to SUCCESS: Enabling Refugee Entrepreneurs to Flourish’ with CPD’s Annabel Brown last week in Canberra. Full report click here. The report was written by Philippe Legrain, founder of OPEN, and Andrew Burridge, CPD Research Coordinator. It draws on Australian and international best practice to outline policy recommendations to government, business and civil society on how to better support refugee entrepreneurs. SCoA sends it’s thanks to the Centre for Policy Development, Boston Consulting Group and the Open Political Economy Network on hosting a successful meeting. We look forward to seeing this important work develop. Credit: CPD. L-R: Sonja Hood, Philippe Legrain, Huy Truong and Annabel Brown.